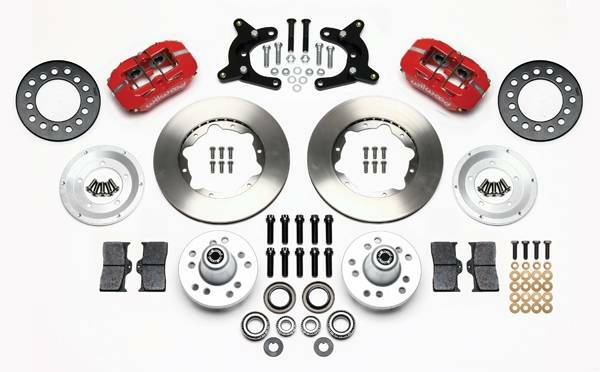 FDL Pro-Series Front Hub Kits offer complete disc brake upgrade solutions for your muscle car. Dynalite 4 piston calipers, aluminum hubs, 11" cast iron rotors, and all hardware combine to create kits that are suitable for daily drivers, serious competition, or the most discriminating show enthusiast. Kits require 15" wheels and work with power or manual master cylinders. Braided stainless steel hose kit (included) is required for installation. This kit is for drum brake spindle only. Wilwood hubs in this kit require a larger center hole in wheel than factory hub. 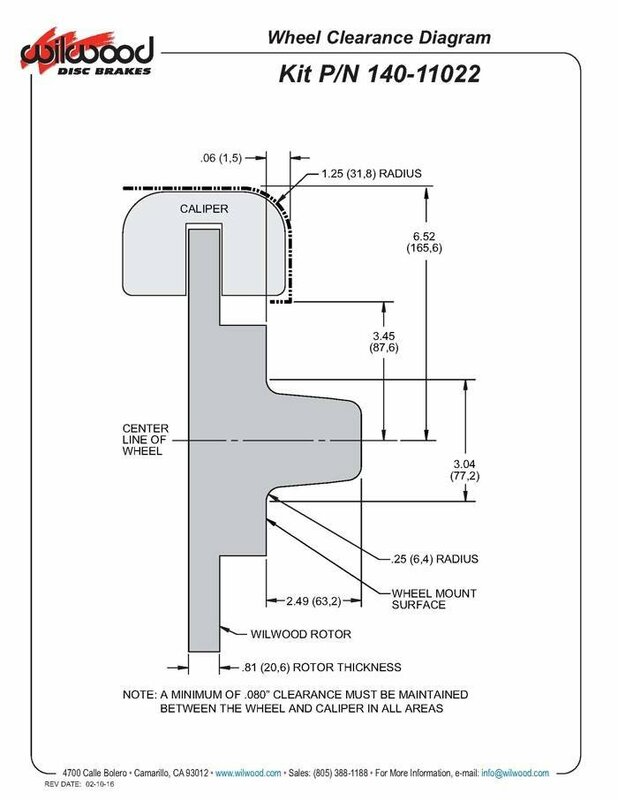 Please verify that your wheel has a center hole at least 3.050” in diameter. See wheel clearance diagram and assembly instructions for more information.